Michelle is a dynamic leader regarding mental health and ways to cope with some of the greater challenges life can bring. She has a degree in English and Education from Baylor University and Master’s Degree in Counseling from Amberton University. She has also completed coursework in ministry, Bible, and theology at the undergraduate, graduate and doctoral level. She ministers to individuals, couples and families with a team of counselors as the Clinical Director and Founder of Community Counseling Associates. Considered an expert clinician and consultant, Michelle trains other behavioral health professionals on treatment planning and coping skills for tough topics such as self-harm, addiction, sexuality, eating disorders, marital/family conflict, traumatic grief as well as depression and anxiety. A previous middle and high school crisis counselor, she also teaches at Dallas Christian College as an adjunct professor in Marriage and Family. 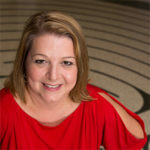 Michelle was a Graduate Biblical Counseling student at Criswell Bible College and Dallas Theological Seminary (completing courses in Spiritual Formation and Systematic Theology) and doctoral work at Trinity Seminary in Women’s Studies and Biblical Counseling (Jay Adams Program). She has a desire to build God’s kingdom and that starts with her own family first. She and her husband Drew are the parents of a son and daughter and believes that parenting is one of her highest callings. She is passionate about equipping them to not only be successful in their life endeavors but also in discipling them toward becoming great people of character who love God. Michelle is on a continuous journey of trying to live out the principles she teaches both in and out of the counseling office. She has been blogging since 2016 and networking with other bloggers and launched www.michellenietert.com. She published an article in ParentLife magazine and published in Hello Dearest for MOPS in 2016, among other outlets. She is the host of the podcast Counselor Thoughts available on iTunes and most platforms. The podcast focuses on mental health topics impacting families and faith. Michelle is working on her first book: Making Uncomfortable Conversations Happen: The Stuff They Need to Know and the Words You Need to Say. The Blythe Daniel Agency brings a personal touch to the publishing world providing expert guidance with a truly godly perspective. As a new author, it's been a privilege to work with an agency that provides wisdom, support and connection to a network of excellent Christian authors and speakers.